Callum Hudson-Odoi described "monkey" chants by Montenegro supporters as "unacceptable" and hopes that UEFA will deal with it following England's Euro 2020 qualifier. Gareth Southgate's side ran out 5-1 winners, but alleged racist abuse directed at England players towards the end of the Group A contest threatens to overshadow Monday's match, with Raheem Sterling appearing to react to the chants while celebrating the fifth goal. Proceedings got feisty late on in Podgorica as Danny Rose was booked for a heavy challenge, and it was then that reporters in the stadium claimed abuse was aimed at the Tottenham full-back. 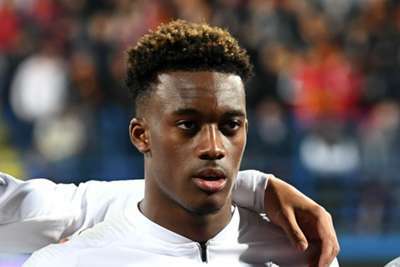 Chelsea forward Hudson-Odoi – making his first start for the Three Lions – confirmed he heard "monkey stuff" from the stands and the 18-year-old hopes robust action will be taken. "I don't think discrimination should be anywhere, we are equal," Hudson-Odoi told beIN Sports. "We have to play a fair game and enjoy the moment, but when you're hearing stuff like that from the fans, it's not right, it's unacceptable. Hopefully UEFA deal with it properly. "When I went over there, me and Rose heard it, they were saying: 'oohh ah ah', monkey stuff. We have to keep our heads, have a strong mentality. "Hopefully Rose is okay, and we'll have a chat about what happened, but he's got a strong mentality, he's a strong guy, and hopefully UEFA deal with it. It's not right at all. "Raheem always helped, he's been talking to me about it, saying: 'listen, don't worry about it, it's football, people do it, it's not right, but you've got to stay strong'. "I've spoken to him and Rose about it at the same time, and they said that in football you always get things like that, people will always be rude, say things you don't want to hear. "Sometimes you've got to block it out of your heads, but it should not happen in football. It's unacceptable." 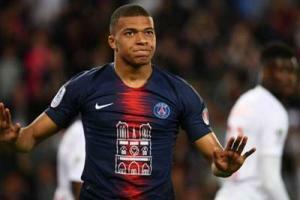 Ligue 1 champions Paris Saint-Germain's jersey against Monaco replaced their usual sponsor with a tribute to Notre Dame after Monday's fire.